Improper wheel alignment is a commonly overlooked or ignored issue, but it shouldn’t be. When you’re driving a car with wheels that aren’t properly aligned, you’re putting unnecessary wear on the tires and other parts of the vehicle. While a wheel alignment is a simple and fairly affordable service, new tires are expensive. If you notice any of the following, it’s time to see a mechanic. 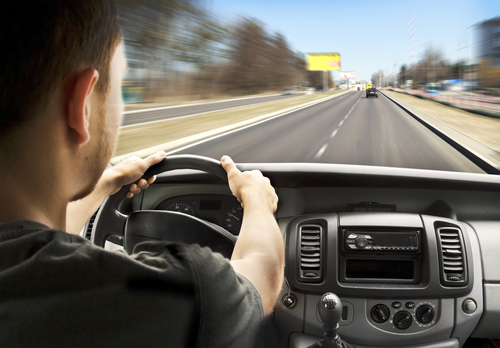 If you’re driving along a straight road, your steering wheel should be centered and level. If the logo on the steering wheel doesn’t look straight to you, the wheels may be out of alignment. Additionally, if you’re struggling to make turns or the vehicle feels unstable overall, your alignment might be out of whack. Have you ever been in a grocery store and the shopping cart keeps pulling in one direction, so you have to work hard to keep it straight? This can happen with cars, too. If you notice your car keeps pulling to the left or right, and you’re working harder just to keep it straight, it’s time for an alignment. After you turn, the steering wheel should start back toward the center on its own. If it doesn’t, that’s another sign your alignment is off. Your tires say a lot about your car and how it’s driving. By simply looking at the wear patterns on your tires, a mechanic can see whether you’re having alignment issues. You may not be aware of these patterns, but your mechanic will probably notice them when you come in for an oil change or other car maintenance. Worn tires are dangerous and expensive to replace, so the sooner you notice these signs and go to your mechanic for a wheel alignment, the safer your car will be. The car repair professionals at Eric's Alignment Center in Cleves, OH, can handle oil changes, wheel alignments, brake repairs, and more. Visit their website to see all the car repair services they offer or give them a call at (513) 353-1215 for more information.